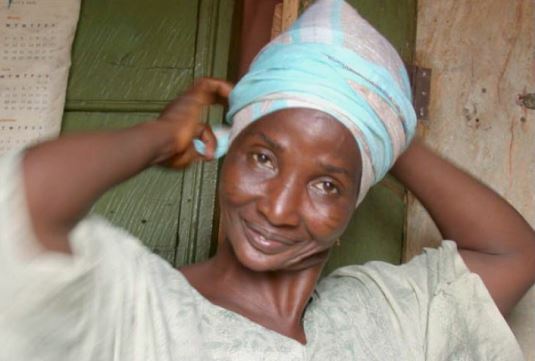 ‘They called the teenager The Witch of Freetown because of the tumour that grew from her face. People found Aminata terrifying and yelled curses at her. Ostracised by family and friends she was sick, penniless and alone. 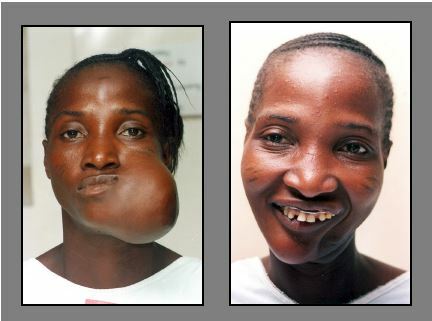 The 19-year-old lost her seamstress business; people were terrified of the tumour that grew from her jaw. Isolated and unwell, she struggled to make ends meet selling peeled oranges on the street. Then one night she dreamed about a big, gleaming-white ship that was coming to bring her healing. Months later the answer to Aminata’s prayers arrived into the port of Freetown – the Mercy Ship Anastasis. It also brought her a life-long friend. Aminata joined the hundreds seeking hope for their conditions. She stood patiently in line and spoke with difficulty around the tumour, now the size of a watermelon. That day changed her life. She heard the beautiful words, We can help you! 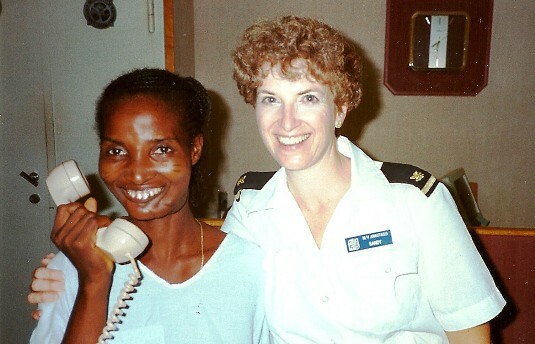 Crew member Sandy developed a special friendship with Aminata. It took months after her tumour was removed for Aminata’s face to heal and she looked forward to Sandy’s visits in the ward. 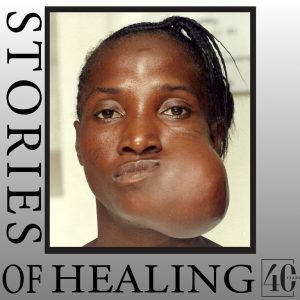 Then Aminata received further surgery to have her jaw reconstructed. Sandy often visited when she wasn’t on a shift at the reception desk. The women were close in age and spent many hours together talking, laughing and becoming true friends. Through love and care, Aminata was being healed body, soul and spirit. After her surgery, her husband Felix returned to her, but many tears were shed when it was time for the Mercy Ship to leave port. 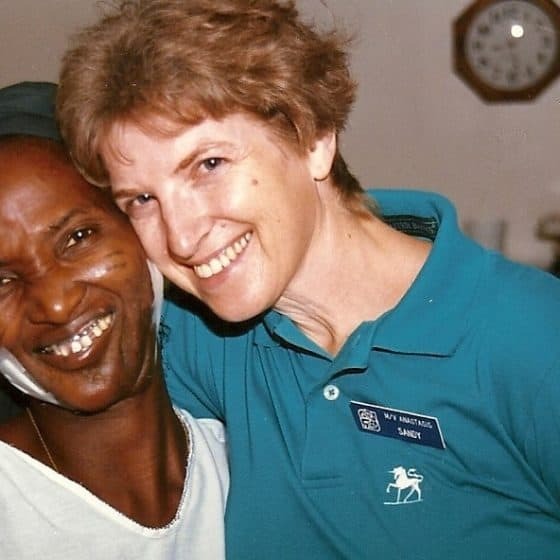 Ten years later, Sandy made a surprise visit to Sierra Leone to see Aminata in 2003. It was just like old times for the friends, and they still keep in touch. Sandy is convinced of three facts – friendships shape our lives; giving has its own reward, and it’s possible to make a difference in a world of need.